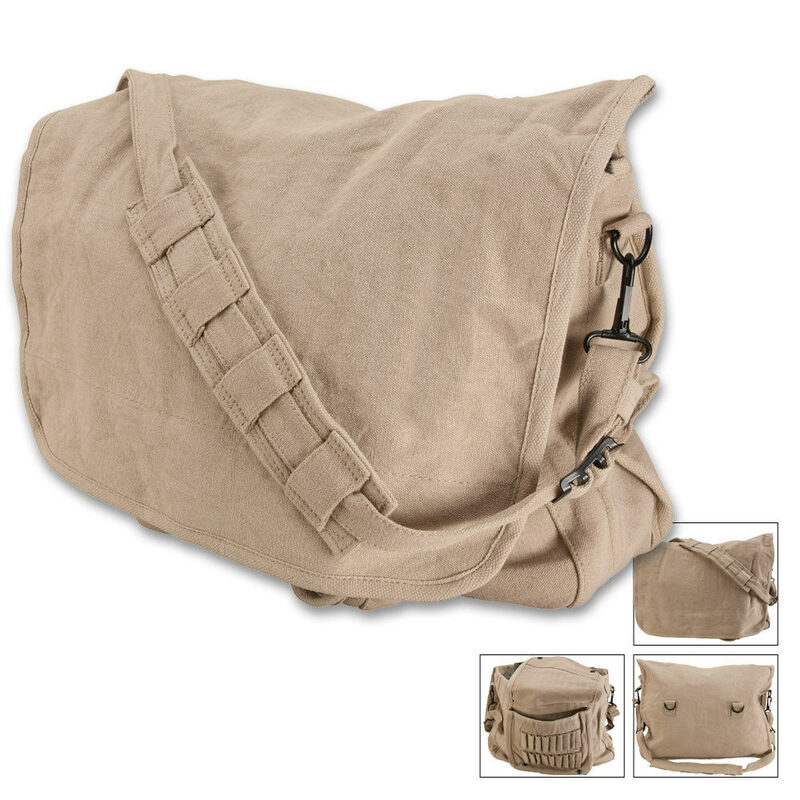 Rothco Khaki Paratrooper Shoulder Bag | BUDK.com - Knives & Swords At The Lowest Prices! Don't look like a nerd with your dirty book bag from high school, carry your things in a real man's bag with this classic paratrooper shoulder bag. This is an excellent bag. It is made of 100% heavy canves cotton. When I received it I thought it was a little too large so I washed and dry it, and it came out the perfect size I like. Several compartments gives you all the room for all things possible. Under the outside flap is about 20 sleeves for ammo. I put some of my 45/70 in and they fit like a glove. This is a great bag for anyone who hunts, fish, or in general just needs something to carry thier stuff in. Love this bad, i am able to hold all my books and even my 17 inch. laptop. It also is perfect for shooting and hunting, has a shell holder in the inner pocket. Holds 18 shells. good bag especially for the price. Really roomy and has no problems with a 17" laptop. Only major complaint is the shoulder strap moves around to easily. Makes a great laptop carry bag. My wife loves it.